Joy to the world! This week I’ll be sharing Olio in Iowa’s 2018 Holiday Gift Guide for every type of traveler on your holiday list. From the lover of all things local to the intrepid roadtripper, I’ve compiled some of my favorite items so you can give a little bit of adventure to everyone on your list this holiday season. 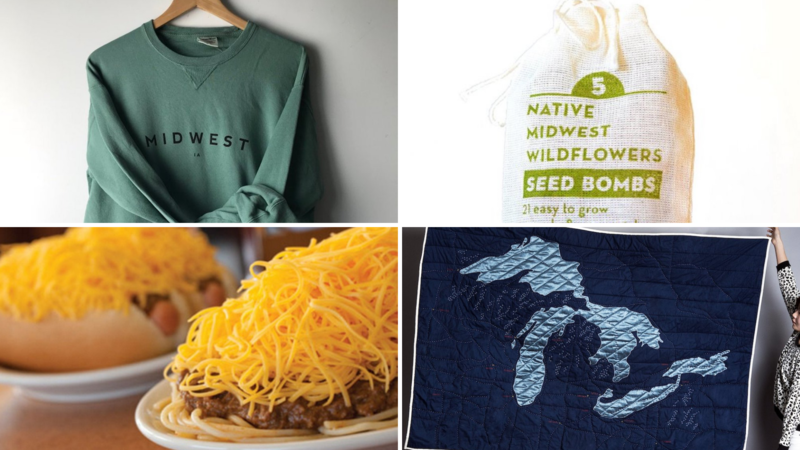 For the Midwesterner on your holiday list, there’s no better gift than something that reminds them of home. One of the things I love most about calling the Midwest home is the sense of community that exists across the region. Not only does being from the Midwest make you resilient (I mean, have you visited during winter? ), but I’ve found it also makes you compassionate for your community. There’s something about the Midwest that bonds people together.